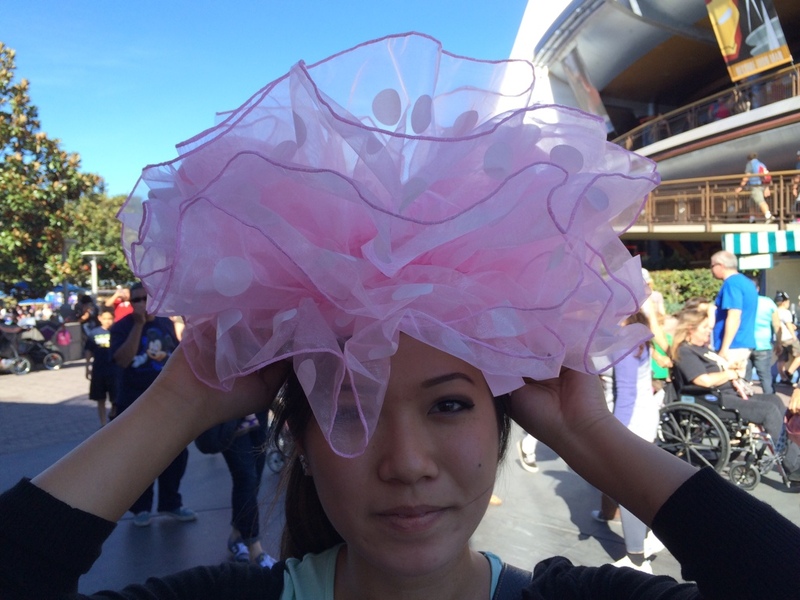 On my last trip, this new head decoration got pointed out to me at the hat store next to Tomorrowland Terrace. It’s pink, fluffy, and definitely interesting. 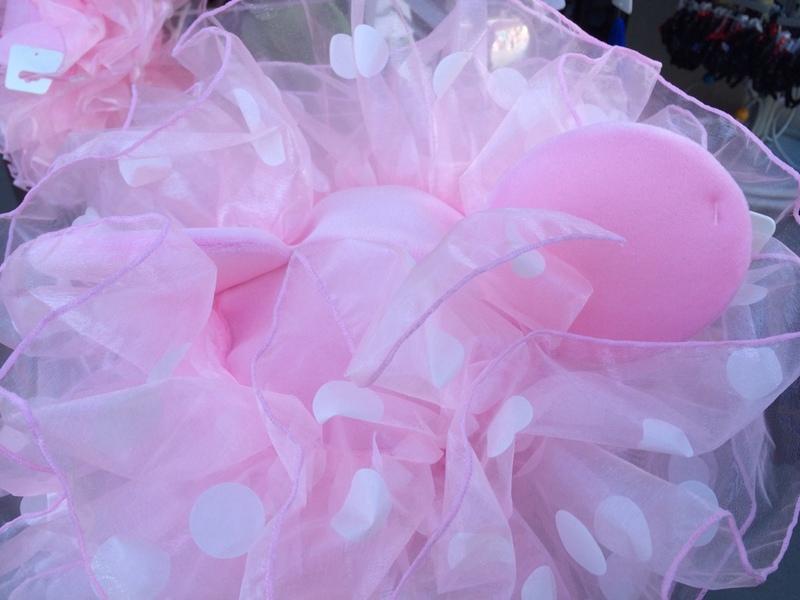 At first glance it looked like a child’s tutu to be worn around the waist. 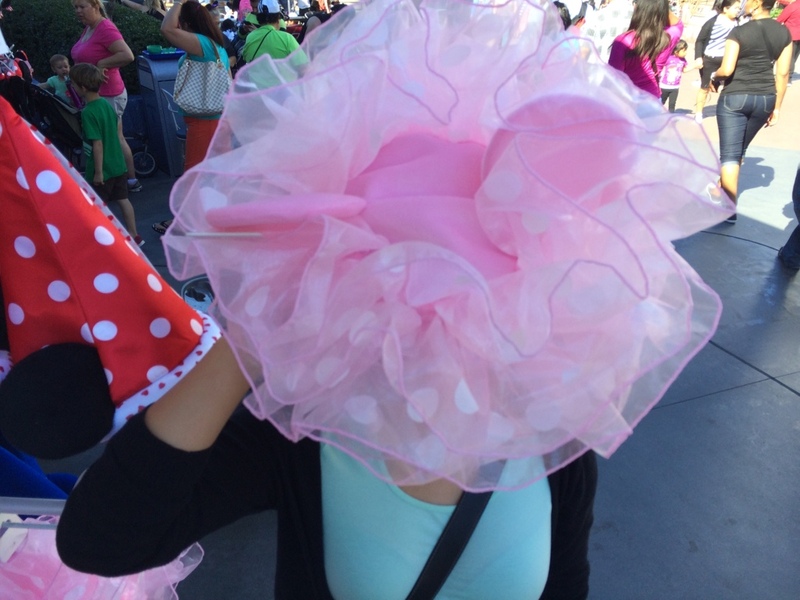 Upon closer inspection, the tutu hides a soft pink ear hat, matching the color of the tutu exactly. A very new and unique product. If you wore this, you’d definitely stand out! 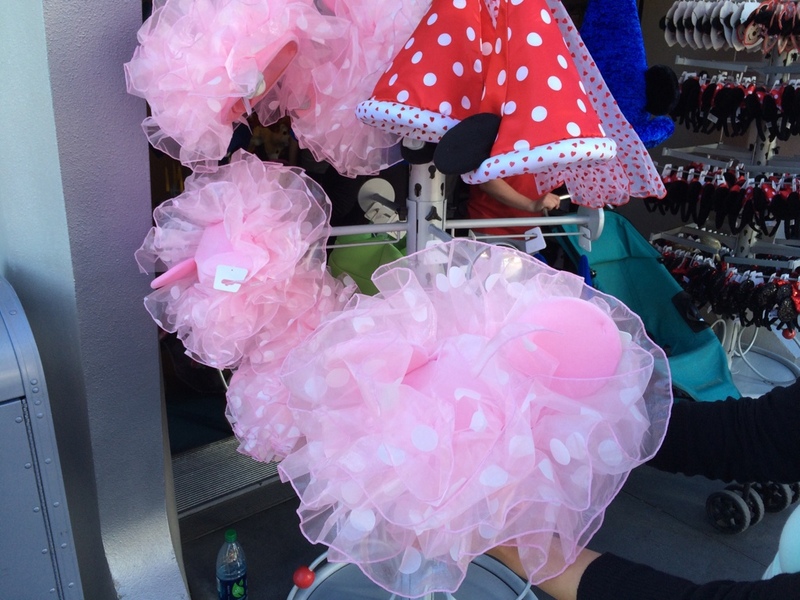 Keep your eye out for these, as they are not yet available at all stores in the park. I could only find them at a few locations. If this is your style, rock it!